You’re up on the trends, your online business is booming, Halloween was a huge success, and the rest of the holidays are right around the corner. It might be time for your Pet Service business to spread the cheer and give back this holiday season. Involving your business in charity isn’t just an investment in others. Giving back can lead to PR opportunities, upswings in employee morale, and new connections with other businesses and local leaders that benefit your business in the long-run. No matter where your business is, there’s sure to be a shelter nearby with animals waiting to be adopted. You and your employees can partner with your local adoption center to help find pets permanent homes. Incentivize people to adopt with coupons to your business—that way people will be even more excited about the new addition to their family and your business will be their first choice for purchasing all their pet necessities. Chances are you and your employees are pet lovers and have pets of your own. If that’s the case, you can screen your pets to see if they can be used as therapy animals through organizations like Pet Partners. 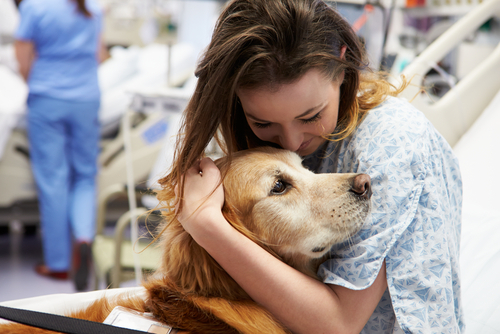 With a team of registered therapy animals, you can take them around to any number of local causes, spread the love, spread the healing, and spread awareness of your business. There are so many charity walks out there supporting amazing causes, but there are also walks specific for pets like Strut your Mutt. No matter what cause you choose, your animals can come with you, so pick a cause that’s close to your heart and rally your employees together to raise money and awareness while you walk. Print some team t-shirts and deck your pets out in some swag from your business and you’ll be creating goodwill for your company, building camaraderie with your staff, and introducing your business to new people—with your pets as the star models. Plan a day of the week where your business gives back by donating a portion of its proceeds to charity. This allows you and your employees to choose any charity that is close to your hearts, and having passion for your cause makes all the difference when asking others to support you. If you plan it on a day of the week where business is typically slower, you might be surprised at how much business can pick up.